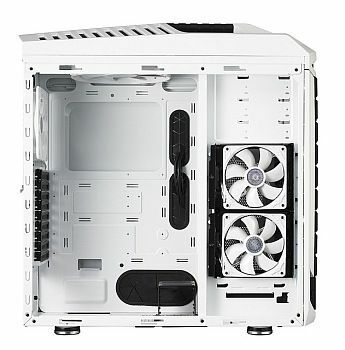 CM Storm, of the Cooler Master group, has released a new gaming case, the Stryker. CM Storm claims it is the first in its class to feature an ultra-strong grab-handle; allowing a gamer to travel with the finest system configurations with relative ease! CM Storm Stryker also features full dust filters, an in-built fan controller, an external SSD drive hot-swap dock and two new modular hard drive cages. CM Storm says the most notable feature of the 2.5-inch HDD/SSD X-Dock that allows a gamer to ‘Plug’ an HDD or SSD in a very short time – a big boost for transferring truckloads of data at LAN parties! The distinctive dashboard is said to make for controlling fan speed and LEDs on-the-fly! The Stryker comes with a range of ports including the latest USB 3.0 and e-SATA and front audio controls for added convenience. The fully-modular HDD case design brings versatility. The two modular cages on the CM Storm Stryker gaming cabinet can take 4 HDDs and a 120mm fan each and can be rotated either front to back or side to side, and if need be, they can be completely removed altogether – a first on any chassis till date! 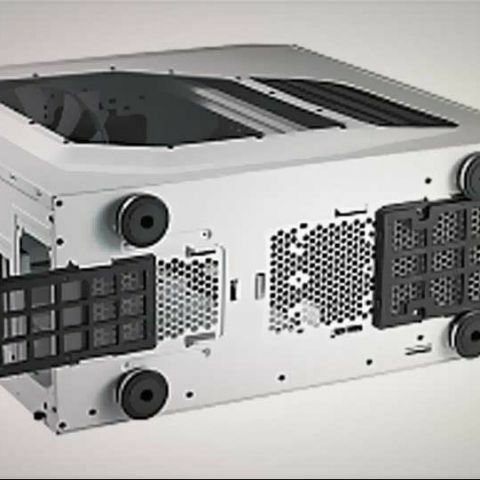 The complete removal of HDD cage enables a water-cooling radiator to be mounted vertically!! What’s more, the CM Storm Stryker has nine expansion slots providing support for multi-GPUs in SLI or Crossfire, space for up to 14 hard drives, and a motherboard tray that supports up to XL-ATX. The Stryker is an ideal mobile arsenal to house and transport the most advanced system and cooling setups without breaking your back or the bank! The CM Storm Stryker is priced at Rs 14,500/- (MRP) and carries one year warranty. It is available ex-stock and is distributed by Acro Engineering Company.